After doing hard work why we don’t get success always ? This is because of our mind set & our attitude we just recite prayer but we don’t do it in prayerful mood with right attitude. “As you sow so shall you reap”. We speak the words but do it like the parrot who used to say “Gangaram nal pe mat baithna” while sitting on a tap & which was taught to the bird by its instructor. We don’t value the time. We can do it with better attitude by setting ourselves as an example. By coming to assembly in right time which starts exactly at 8:00 a.m.
Did I enjoy my work ? Is there anything more I could have done today ? How can I make someone happy ? As a teacher let me set an example to stand in front of our children in the morning assembly & pray sincerely in a prayerful mood. Let me feel god is given me plenty & I’m here to distribute his wealth to others & to serve our children who are entrusted in my care. 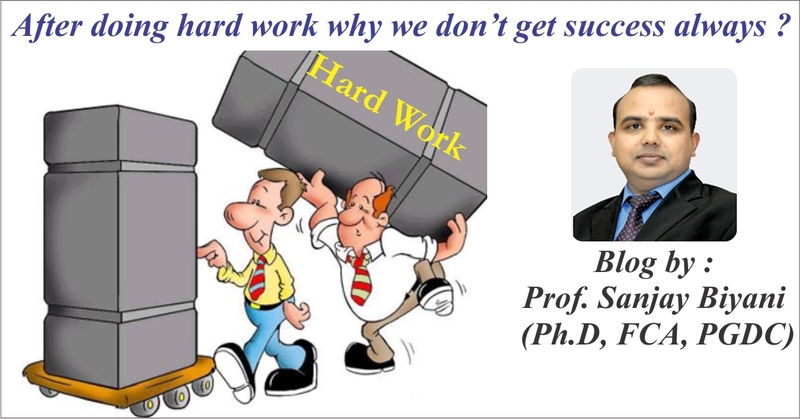 Posted on December 10, 2015 October 6, 2016 Author Blog ManagerCategories BLOG IN ENGLISH, Morning Mantras3 Comments on After doing hard work why we don’t get success always ? Do you live in Gratitude ? Yesterday how many of you said “May I help you please ? Thank you ! This “Thank you” word is a magical word. Be grateful when you drink water, When you take food. Don’t feel yourself so poor that you can’t say the word ‘Thank you’ even. But we feel he has the power to destroy where as Vishnu is the creator. It is not about destroying the world. It is the power we have to destroy our bad attitude/ignorance/agyan. We have also the power of creating good attitude. We have tremendous mental power. I wish today everybody will realise. This power and will be able to give thanks to each and everyone & live in gratitude. We have to experience this. Be wise, be grateful, be thankful otherwise all knowledge is useless. Posted on December 10, 2015 October 6, 2016 Author Blog ManagerCategories BLOG IN ENGLISH, Morning Mantras4 Comments on Do you live in Gratitude ?